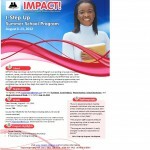 Inaugural iStepUp Program – What you missed! 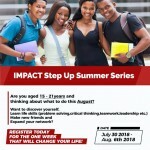 The IMPACT Initiative presents 5th I-STEP UP Summer Series… IMPACT Step Up Summer Series II Inaugural iStepUp Program – What you missed! “The IMPACT-Initiative is a not-for-profit organization focused on leadership development and maximising the individual’s capacity to contribute to the community. Here you can find links to insightful articles, blogs and other online materials which will benefit your quest to learn more about the world around you. We hope that you will take the first step in expanding your knowledge base by reading regularly and sharing what you learn. Please feel free to browse the various sections of our website using the navigation tabs above. 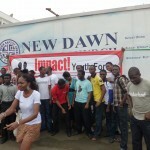 If you have comments about the content or design of the website, or what we do at IMPACT, you can contact us at info at impact-initiative dot org or impactnigeria at gmail dot com. We would love to hear from you.